The new McLaren 570S will make its ‘global dynamic debut’ by charging up the Hillclimb at the 2015 Goodwood Festival of Speed. It’s the first time the £140,000 British supercar, which made its debut proper during April’s New York Auto Show, will be seen in action anywhere in the world. On sale this summer, the 570S Coupe is the more powerful brother of the £126,000 540C, with McLaren calling the pair its entry-level ‘Sport Series’ and looking to tap into a market of Porsche 911 Turbo and Audi R8 buyers. 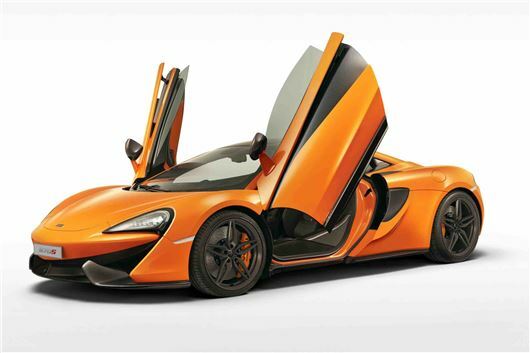 For reference, the next step up the McLaren ladder is a basic 650S – basically the car formerly known as the MP4-12C – which costs a shade under £200,000. The Sport Series cars will be joined on the Hillclimb at this year’s Goodwood FoS by two much rarer and more exotic McLaren beasts: the P1 GTR and the 650S Le Mans. These two limited edition cars are rarely seen in public, says McLaren, with this being the P1 GTR’s dynamic debut in the UK. Powered by a 1000PS 3.8-litre V8 engine, each of the 40-odd P1 GTR models made were only made available to existing standard P1 owners, with McLaren charging just under £2m a pop. The 650S Le Mans, by comparison, is positively common, with 50 made in collaboration with McLaren F1 designer Peter Stevens by McLaren Special Operations. The specific car appearing on the Hill at Goodwood is the prototype car, codenamed XP1. McLaren will also show a 650S GT3, a car unveiled at last year’s FoS and which has spend the year since competing around the world, and very successfully at that – it’s finished on the podium five times, driven by various McLaren customer teams.